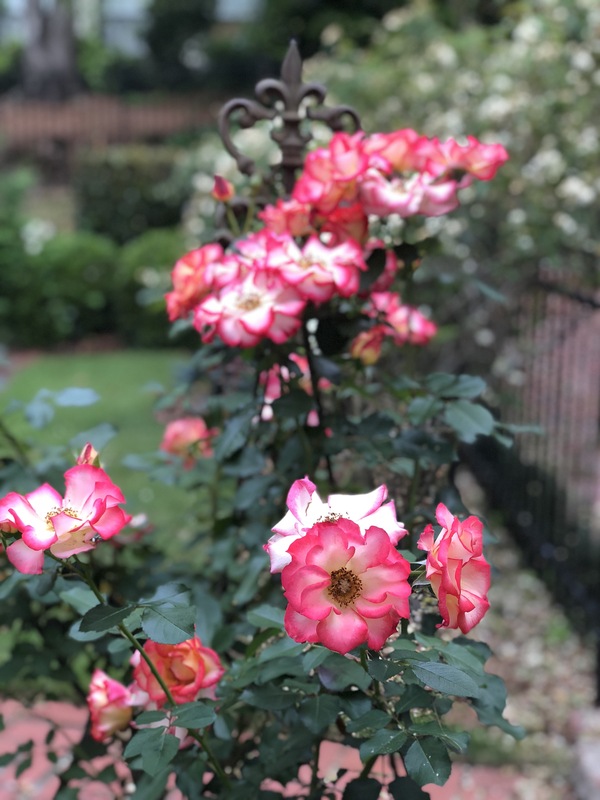 The Roses of Success – from the musical “Chitty Chitty Bang Bang”- has long been a favorite song in my garden. 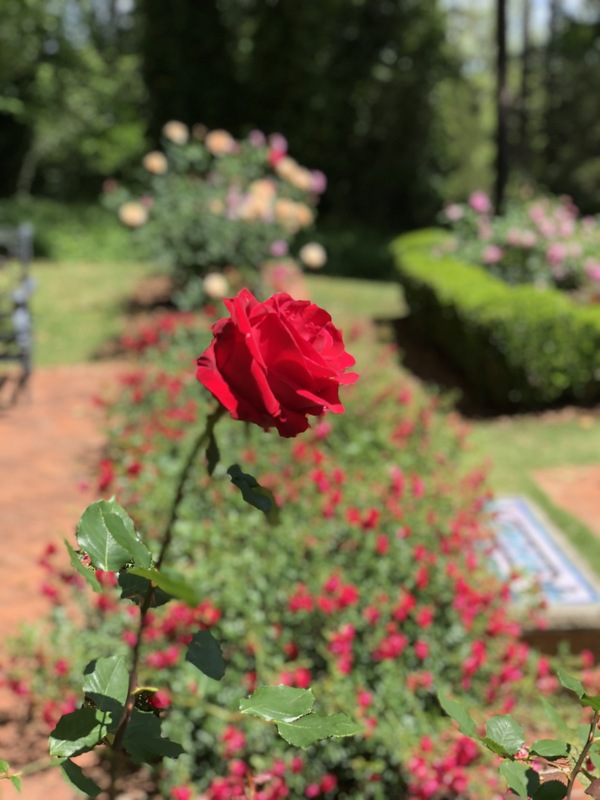 “Up from the ashes grow the roses…” “Up from disaster grow the roses…” the lines in this song ring true for the historical event that took place at the site of my home on April 16, 1865. It was a bloody battle that lasted a day and burned down local structures and destroyed the bridges and railroad. 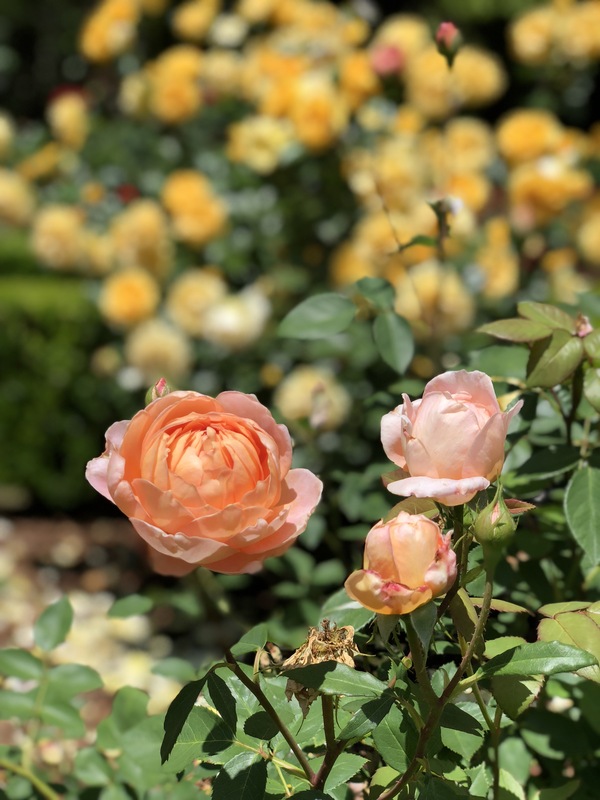 Fast forward to April 2000 and it now seems a matter of fate that I took up my shovel, fertilizer, handwritten instructions for planting roses, and placed Mr. Lincoln and 7 other hybrid teas in the courtyard. 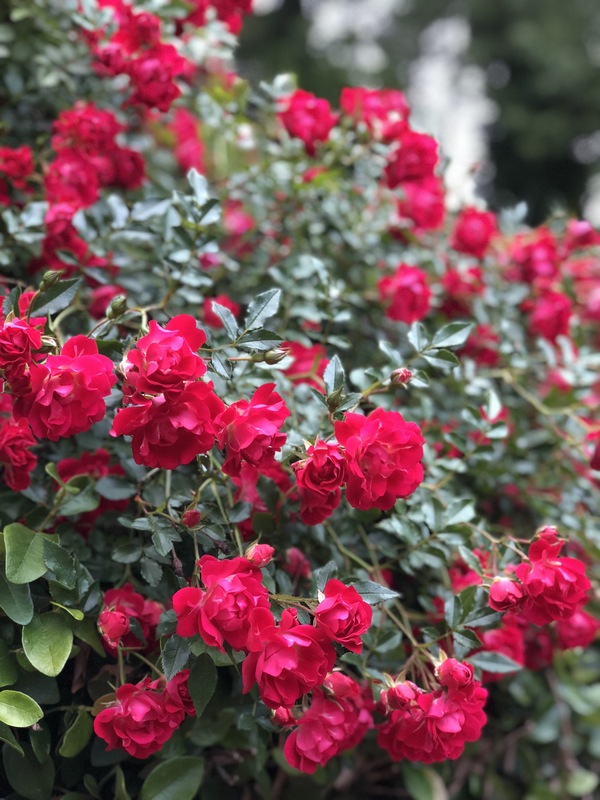 I had never planted or cared for roses before, but I had it in my genes. 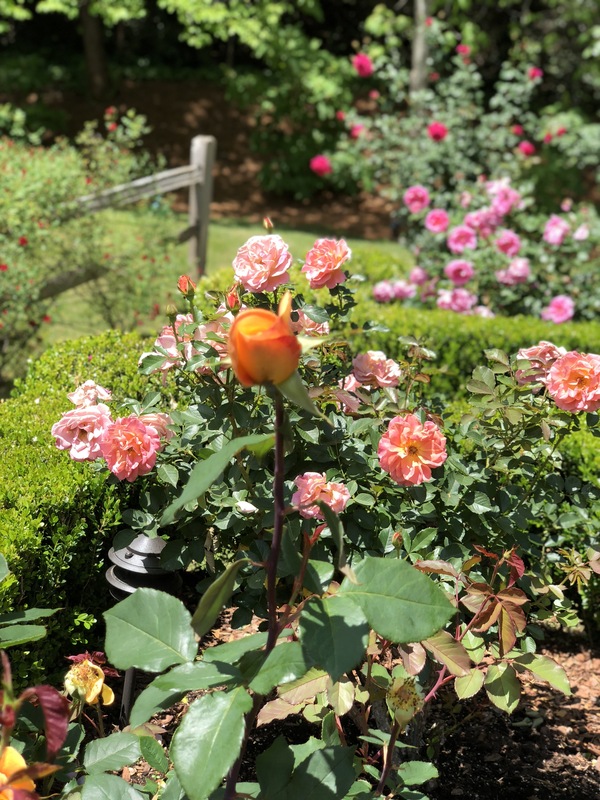 My grandparents were both from Indiana farm families and my grandfather had a beautiful rose garden with a multitude of colors. My grandmother always had a rose in a glass on her window sill and some on her dining room table. 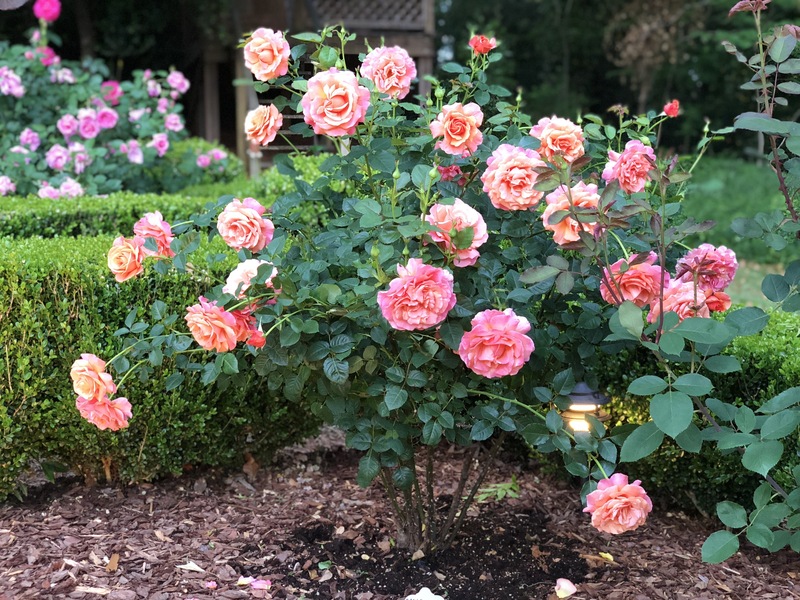 And, after several days of digging in the Alabama clay, mixing the fertilizer with the soil, I had planted 8 roses. 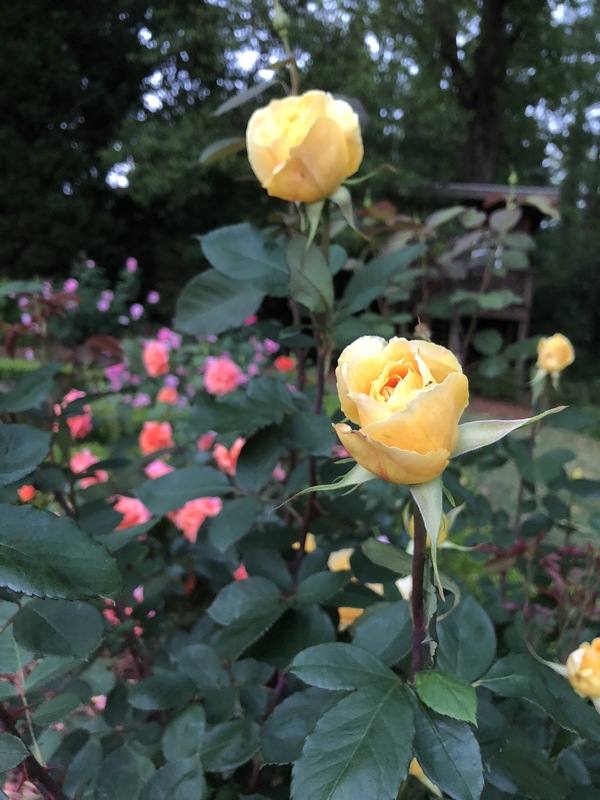 As I mentioned earlier, The Griggs House families have grown roses and so there are stories about roses in my novel “Jumpin’ the Rails!”. Apparently, it was a Yankee sharpshooter hiding behind a rose-bush, where my kitchen is located, who shot and killed Confederate General Tyler. 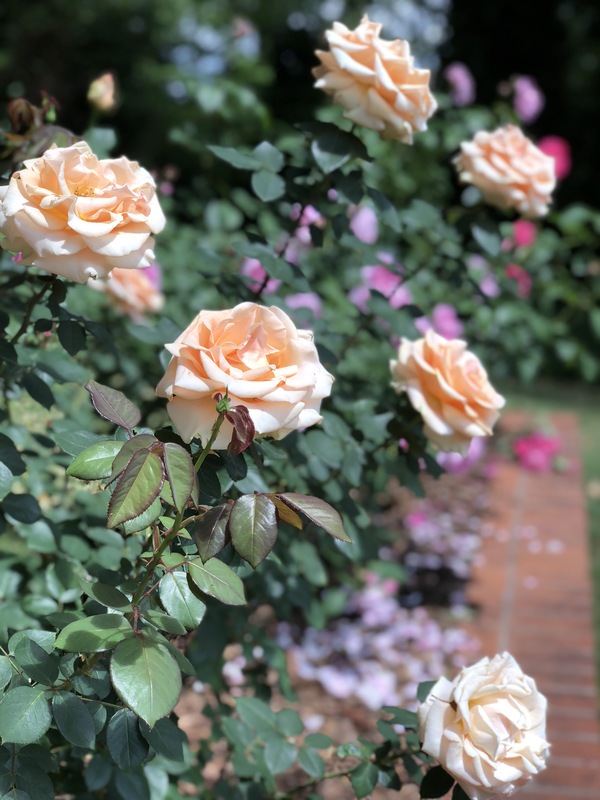 There is also the story of how Easter 1865 was unusually cold, and the Griggs House roses were tightly budded on the morning of the battle but were in full bloom by the end of the day. 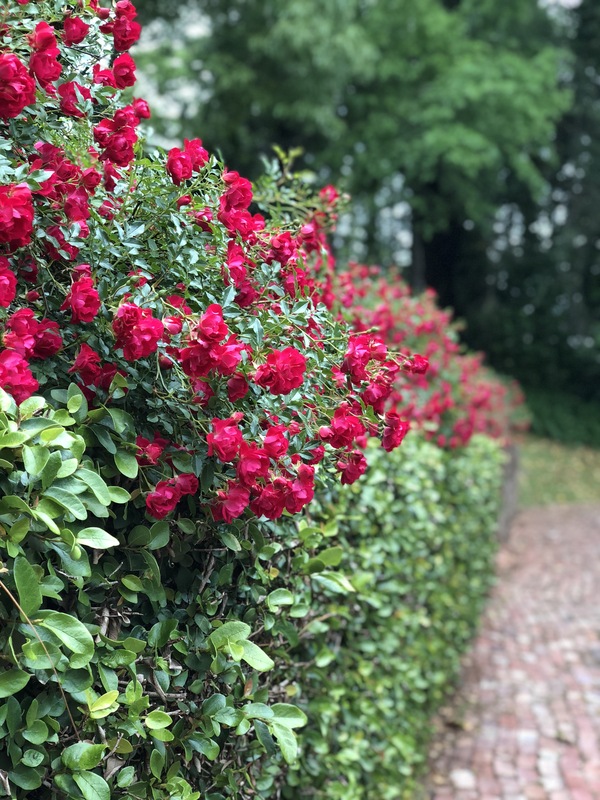 A full day of cannons firing down on the House from the fort released potassium nitrate into the air which forced the roses to bloom. I have also heard stories that the second family to own the home had roses on either side of the driveway. 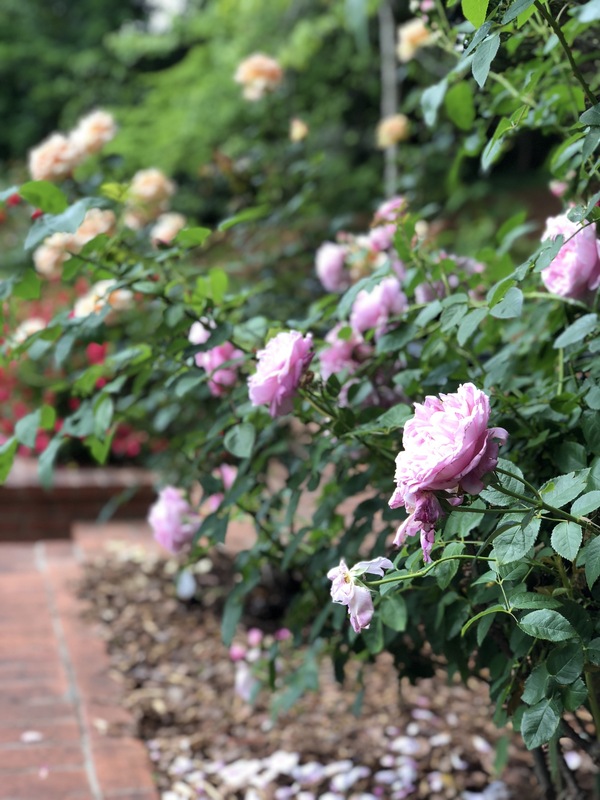 Older folks who grew up in the area have spoken to me about Dr. Simmon’s roses and walking up my driveway one day I stepped off into one of the spaces where a rose had been planted. Then I noticed the perfectly spaced dips along the driveway where his beautiful roses once stood. I have often wondered how the 1865 garden was planted. Unlike the first family to live in this place we live in peaceful times, but still we encounter battles of the mind. I’ve found that peace is restored through the beauty of the garden. 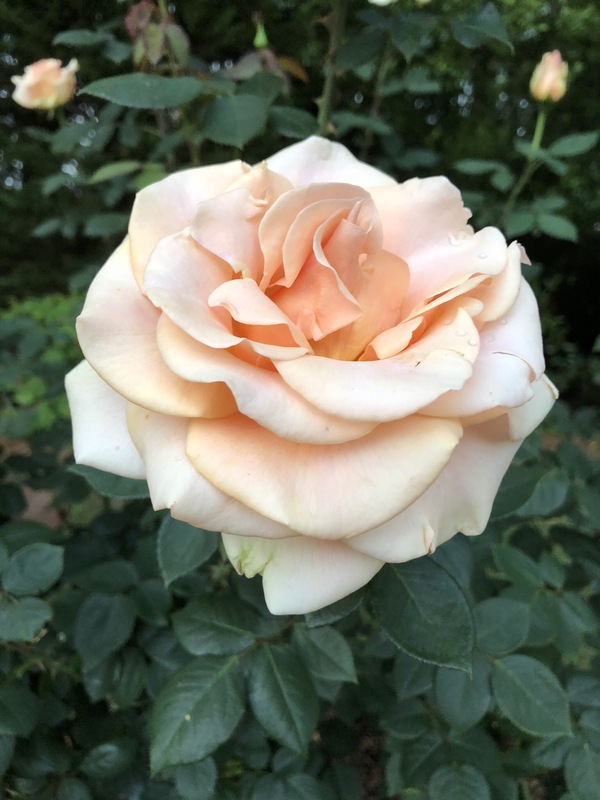 Did you know there is such a thing as horticultural therapy? It’s even a career path. 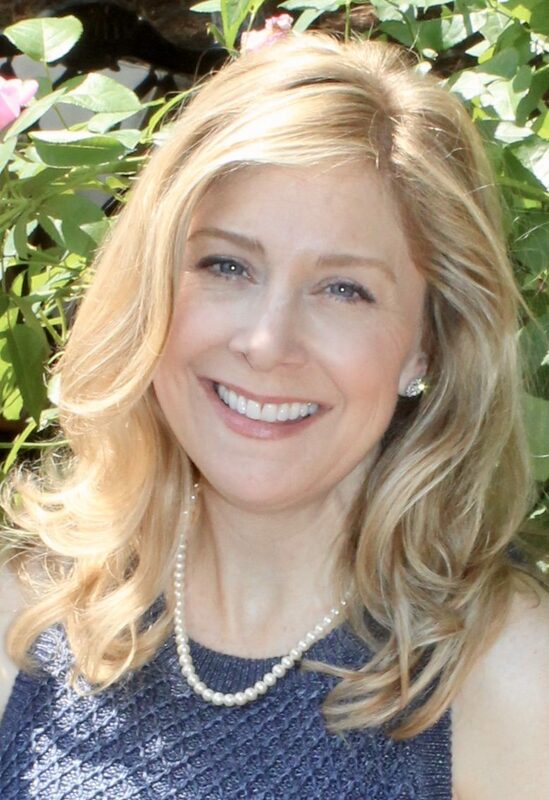 Gardens are therapeutic: reduce stress, speed healing, and elevate mood. My son’s favorite thing about the garden is its colors. Bright colors give the feeling of celebration, the warm colors like pale pink, yellow and peach are nurturing, and the reds, oranges and hot pinks are passionate colors. 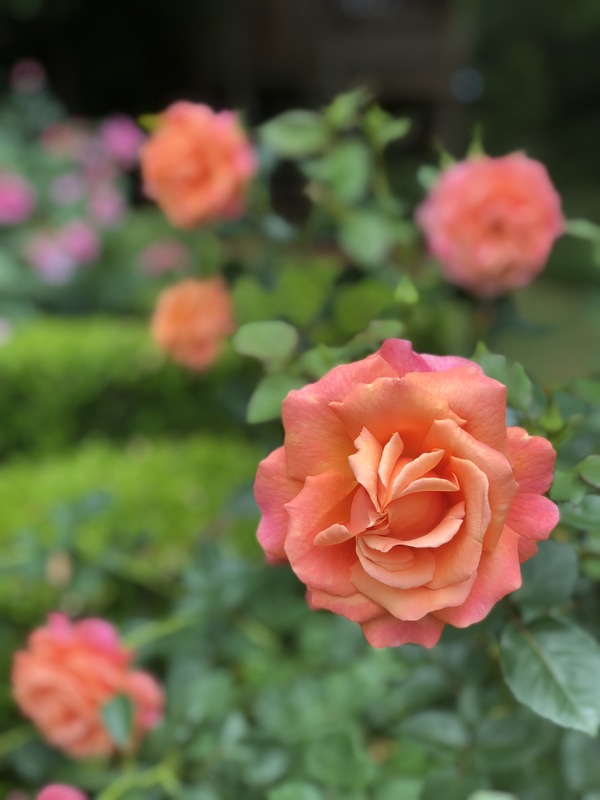 There is even a science to the fragrance of a rose. 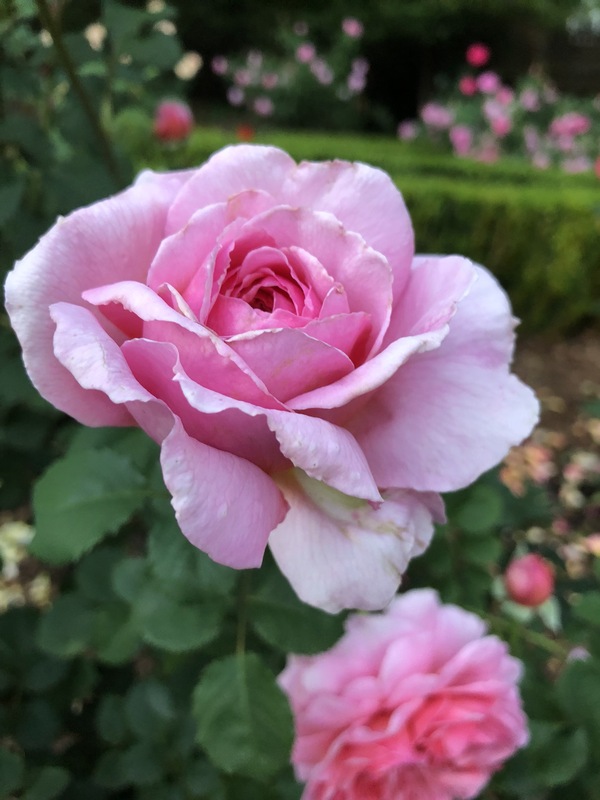 The phenylethylamine is a chemical in roses that gives them their scent. This chemical contributes to the hormone responsible for making us fall in love, also known as the “happy hormone”. In addition, it is found in a favorite food, chocolate, and produced by our brains when we exercise. I’ll end with this. My husband used to send me roses for every occasion. Once the garden was planted and the roses bloomed season after season, I asked him to please stop sending me roses. For he’d already given me a lifetime of bouquets in our garden. See attached video of the “Roses of Success”. 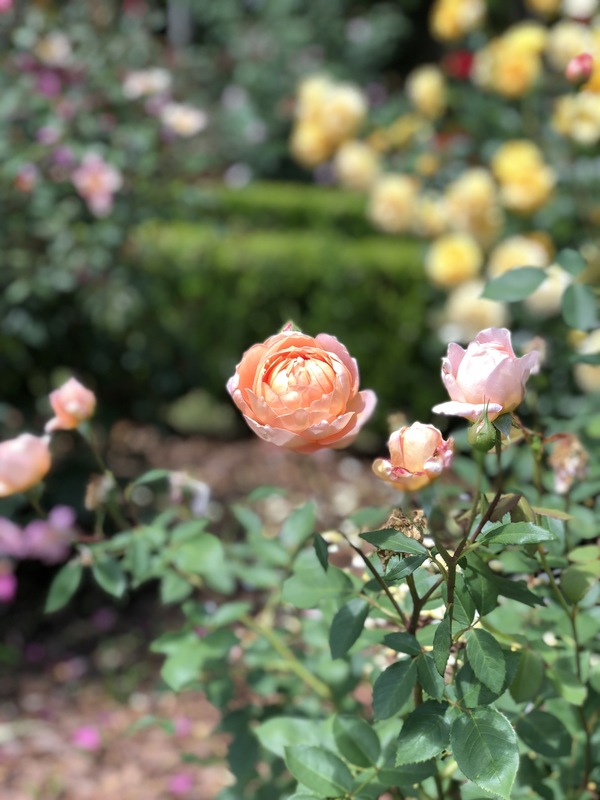 Rose photos were taken in the Griggs Rose Garden April 2018. 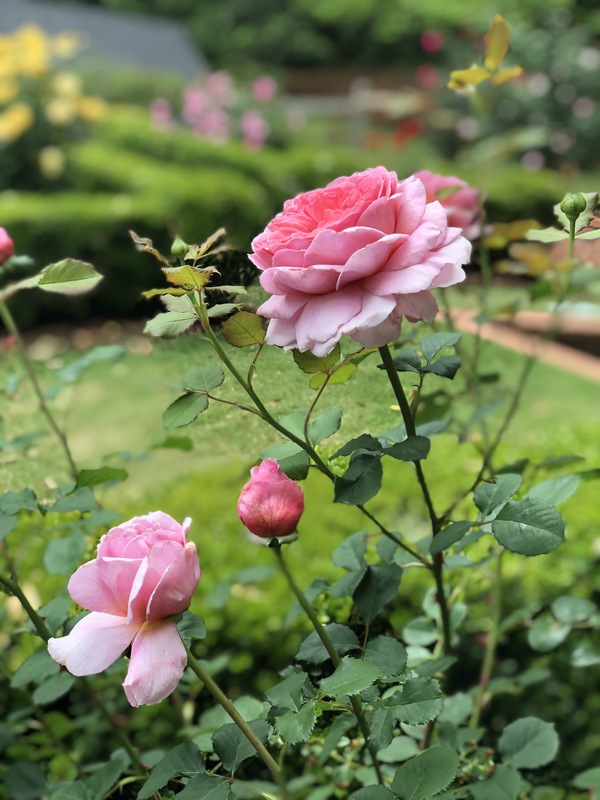 Your Grandma Carrie loved the hymn “I Come to the Garden Alone” while the dew is still on the roses. Grandma and Grandpa Shrode loved flowers and always had a beautiful flower garden. You continue their legacy. Thank you for sharing this gift and talent.